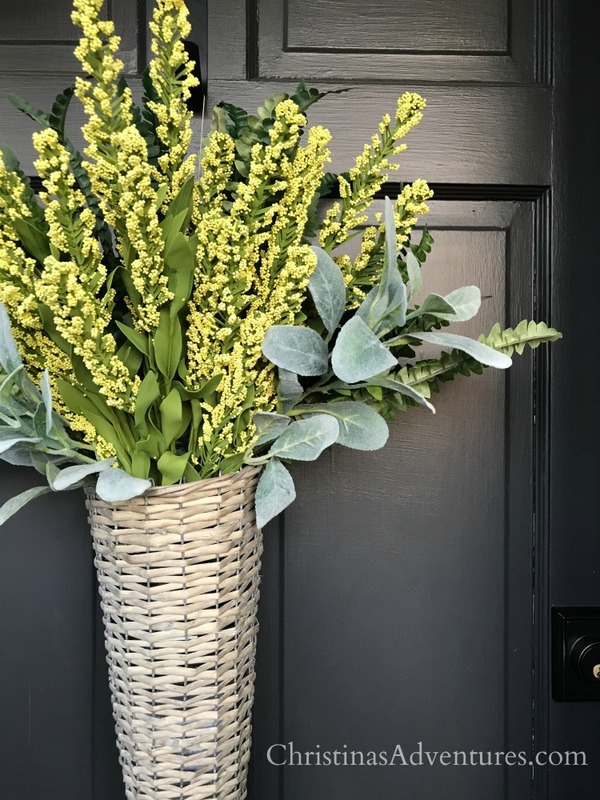 Learn how to make this simple spring door decoration with just a few items. This easy craft will only take you five minutes! 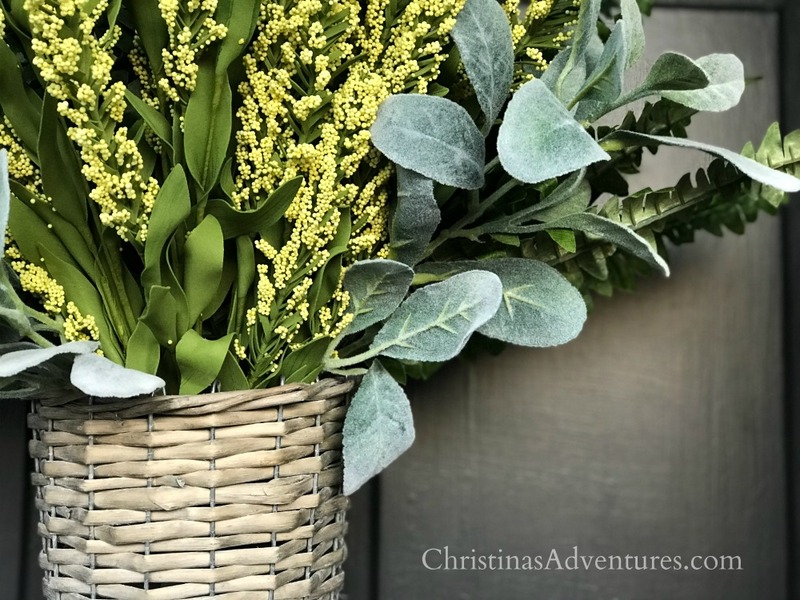 Spring is just around the corner – I can feel it! We’re SO ready to kick the winter blues away (and the germs that come with it…man it’s been a rough winter in our home!). 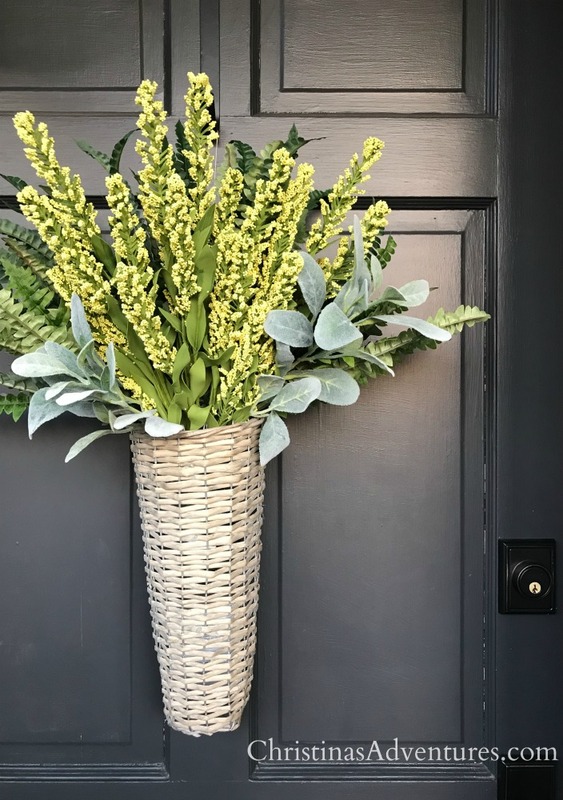 In anticipation of the upcoming warm weather and sunny days, I made this adorable spring door decoration to add some cheer to our front door. The best part about this project? It will take you all of 5 minutes! It is SO simple and requires zero gluing, cutting, stapling, or even crafting at all. Perfect! To make this decoration, you’re just going to need the right materials. You’re going to need to start with the right basket. The trick for this basket is to make sure it has a loop for hanging, and also has a flat back so it sits flush with the door. And that’s it! 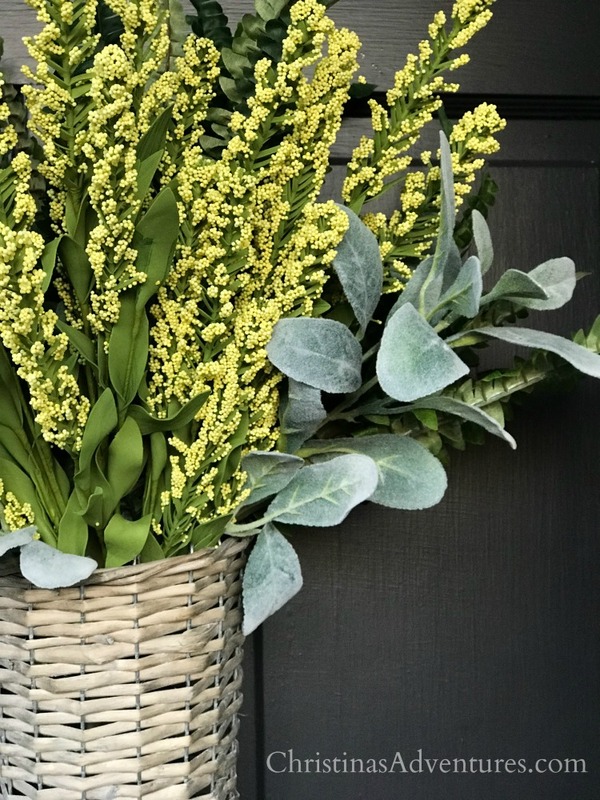 Super simple, easy and the perfect pop of color for spring. But can I be honest with you? I still have poinsettias sitting out on my front porch – I really need to get my act together! If you make a craft that’s inspired by this one, please share it with me! I love showing you guys off! Just tag me on Instagram or share on my Facebook page! And if you enjoyed this post, please share with others and save for later by pinning it here.